We all know that infants’ brains are like sponges, and they learn and develop at an amazing rate. Even very young infants are able to decipher voices and begin to pick up on the tone of voice we use in different situations. Now one study has been released with some interesting results that every parent should be aware of. As children get older, they obviously pick up on our tone of voice and body language to gauge whether we are happy, upset, or angry. But a study conducted at the University of Manchester and published in a journal by the Public Library of Science resulted in a surprising fact. Even very young infants can decipher an angry tone of voice, and these tones cause a stress response that can cause a baby to react more sharply. This response not only occurs with voices raised in anger, such as when parents are arguing, but also with a parenting style that is more “directive” or controlling. And it has been found that infants’ brains have this response even when baby is asleep, according to a similar study conducted by the University of Oregon. Babies’ brains are very malleable, allowing them to develop in response to the environments and encounters they experience. But this adaptability comes with a certain degree of vulnerability: Research has shown that severe stress…can have a significant, negative impact on child development, as reported by Psych Central. 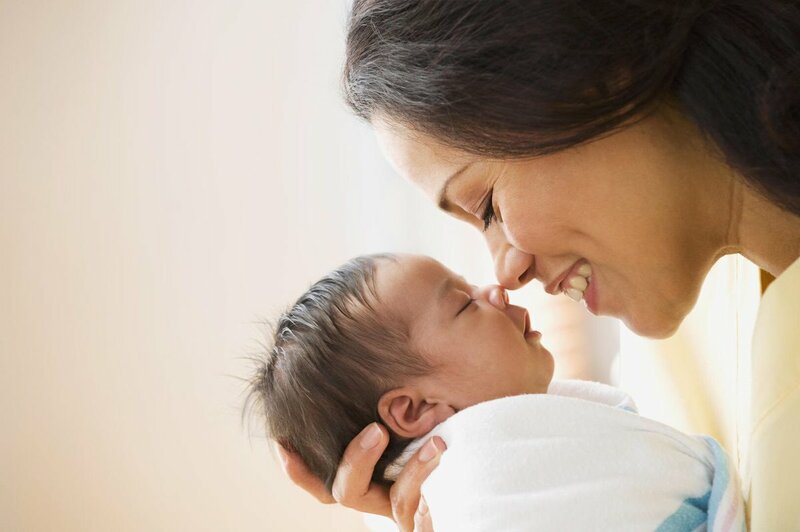 Infants who are raised in an environment where there is a lot of arguing or impatient responses are affected negatively in the formative first months of life — and it can have lasting implications. With “directive” parenting, where infants are spoken to sharply, constantly corrected, restricted, or controlled in their play and communication, a heightened state of stress in infants’ brains is found. And it’s not only the tone of voice that matters, according to Dr. Chen Zoa, the lead author of the Manchester research study. “We may infer that parents who habitually use directive style (as compared to those who don’t) may in everyday life also be quicker to express negative vocal emotions in order to elicit what they view as ‘desired’ behavior from their baby,” said Zoa, as reported by Reuters. Likewise, when babies were exposed to recordings of angry voices, infants who were raised in a “directive” parenting style reacted more quickly and emotionally than infants who were raised with a calmer, more sensitive parenting style. Therefore, a young infants’ brain response is directly shaped by early experiences with angry tones of voice, and they may react differently to anger as they grow. “Babies who experience what we call a directive style of parenting are likely to feel limited or restricted in what they can do, express and/or contribute to play,” said Zoa. Child development specialists say the research is important in the field of developmental neuroscience and may lead to a better understanding of anger, emotional, and behavioral issues in young children. The researchers note that babies’ response to the emotions surrounding sound are just as critical as the level and tone of the sound itself. The Oregon study that focused on infants’ brain responses during sleep reiterate the findings from other studies that show a definite change in brain function when a baby is exposed to anger. Even when asleep, “infants showed distinct patterns of brain activity depending on the emotional tone of voice we presented,” said graduate student Alice Graham who helped work on the study. Infants were exposed to different voices with changing tones and emotions involved. Loud and angry voices showed a more startled response, and responses tended to be sharper in infants who were living in “high conflict” homes. While the findings of these studies may be obvious – loud and angry voices will startle infants, and constant exposure will have developmental consequences – the research is unique in that it has pinpointed areas of the infant brain that are directly affected and is showing the developing brain’s link to stress and emotional regulation. It also shows that a more “sensitive” parenting style can have a more positive influence on language and how the baby processes “emotional” tones. The constant exposure to anger and stress for babies raised in “high conflict” homes can create a significant increase in the child developing behavioral issues related to anger in the future. But Dr. Nathalie Maitre of Nationwide Children’s Hospital in Ohio does note that “directive” parenting is not all bad. There are times when a more controlling, directive response is appropriate, and children do need structure and discipline. The problem lies in repeated exposure to critical, controlling, or restrictive parenting styles that may have an effect on emotional development and influence self-esteem and interpersonal relationships. Researchers hope that the findings may help child development specialists to come up with better therapies for children who are struggling at home or in school due to behavioral disorders, and to improve their relationships with others. What do you think of this fascinating study into the developing brains of infants? Are you surprised that their brains are still affected by sounds in their environment during sleep? Leave us your comments.